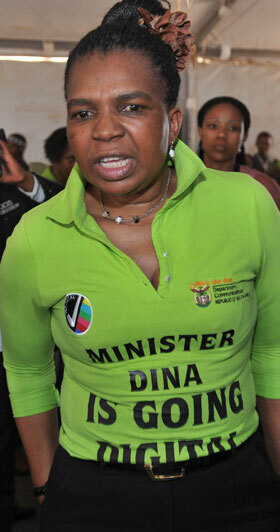 The Congress of the People (Cope) has welcomed former communications minister Dina Pule’s decision to withdraw as an ANC candidate for member parliament. “We are disappointed, however, that it took a lot of public pressure and shaming before Ms Pule could see the writing on the wall,” Cope president Mosiuoa Lekota said on Friday. He said in a democracy, public representatives were expected to adhere to a higher standard of moral uprightness, and any hint of impropriety should be enough for the public representative to step aside until he or she had been cleared. “What we have instead witnessed in this country are denials, followed by unbridled attacks on those who uncover misconduct. Cabinet ministers involved in the Nkandla debacle, for example, should long have fallen on their swords by now,” Lekota said in a statement. He said attacks on public protector Thuli Madonsela were short-sighted and shallow. Pule announced on Thursday that she had decided to decline the ANC’s nomination for the national assembly. “I have given great thought to what I should do with the rest of my life, and while I will remain a loyal and committed member of the ANC, it is in my best interest and that of my children and family that I withdraw from the ANC list and be allowed to live my life in peace,” she said. Pule, who was removed from her position last year after the public protector’s report into allegations of corruption and a potential conflict of interest against her, was number 70 on the ANC’s list of parliamentary candidates. She expressed gratitude for her nomination and thanked the party’s branches for the expression of confidence in her. Madonsela’s probe involved Pule’s appointment of service providers to do event management for the ICT Indaba in Cape Town. She found that despite numerous denials, Pule told her department Mngqibisa was her official companion.